Azizi Developments on Wednesday launched the Dh250 million Azizi Shaista Residence project at Al Furjan in Dubai. The 12-storey development will have 284 residential units – 137 studios, 124 one-bedroom apartments and 23 two-bedroom apartments – when completed in 2018. “Azizi Shaista Residence is prudently located near the Expo 2020 site – the meeting point for ideas and trade that is set to produce US$23 billion in revenue and provide a staggering 277,000 job opportunities,” Farhad Azizi, chief executive of Azizi Developments, said in a statement. 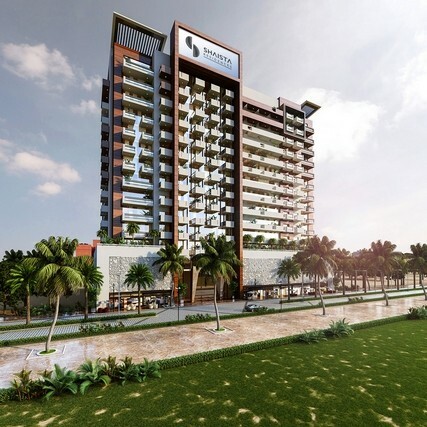 The developer announced at Cityscape Global in Dubai this month plans to launch five residential buildings in Dubai Healthcare City and a building next to the UAE Exchange metro station in the Downtown Jebel Ali area. Azizi Developments is currently involved in 20 property projects, mostly at Al Furjan, valued at around Dh7.3 billion. It recently completed the 109-unit Azizi Yasmine residential block. Azizi Developments’ initial plans for Dubai were focused on plots at Nakheel’s Palm Jebel Ali and Dubai World Central, where it spent Dh3.5 billion buying more than 920,000 square feet of land in these locations in 2008 and launched a pair of projects at the Palm Jebel Ali. The ensuing financial crisis however forced the company to shift strategy, and swapped its Palm Jebel Ali plots for for three plots in Palm Jumeirah and land at Al Furjan, where Azizi Developments is now focused.